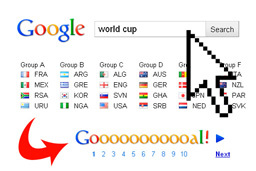 Google gets World Cup Fever! With only a few more sleeps to go until the 2010 World Cup it seems like everyone is getting World Cup fever! I know that I certainly am. 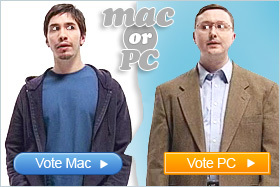 Even the search giant Google is celebrating in their own way. Have you tried searching for “World Cup” in Google recently? 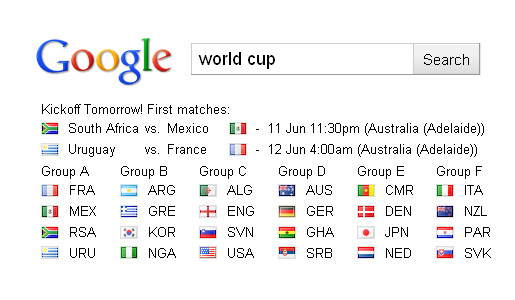 You may have noticed that Google is displaying the match time information on the top of the search results. But if you scroll down to the bottom you will also notice that the search results pages no longer say “Goooooooooogle”, but instead “Goooooooooal!”. I think that’s a very cool way to get into the World Cup spirit. Good on you Google! Google also conveniently displays the match time information.